I’m so excited to share this with you. 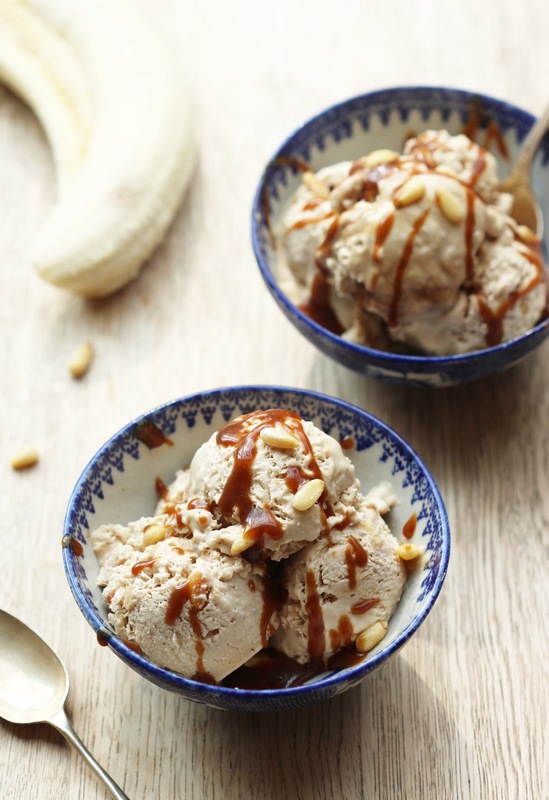 One of my friends recently made her famous salted caramel ice cream for us while we were on holidays and ever since I’ve been dying to make a dairy free version. It’s the perfect use for my beloved Salted Caramel Sauce and I added toasted pine nuts for a little crunch, the flavours work so amazingly together. 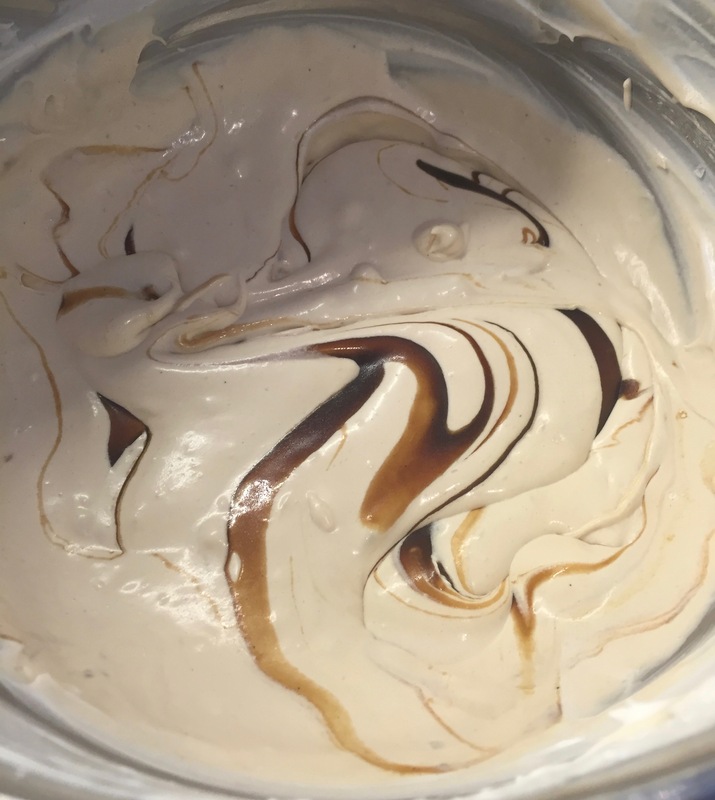 As ice creams go it’s so easy (once the sauce is made! ), it’s all in the whipping of the coconut cream- pop the cans in the fridge overnight and don’t forget to chill the bowl first, it makes all the difference. Start by making the caramel, you’ll need to set it aside to cool completely before making the rest. While the caramel is cooling, toast the pine nuts in a pan on medium heat until golden, then set them aside to cool too. Pop a large mixing bowl (I use a stainless steel one that gets really cold) in the fridge to chill for about 10 minutes. Take the cans of coconut milk out, turn them upside down and then open them. Pour off all the coconut water at the top (keep it for something else) and then add the JUST the cream to the chilled bowl. 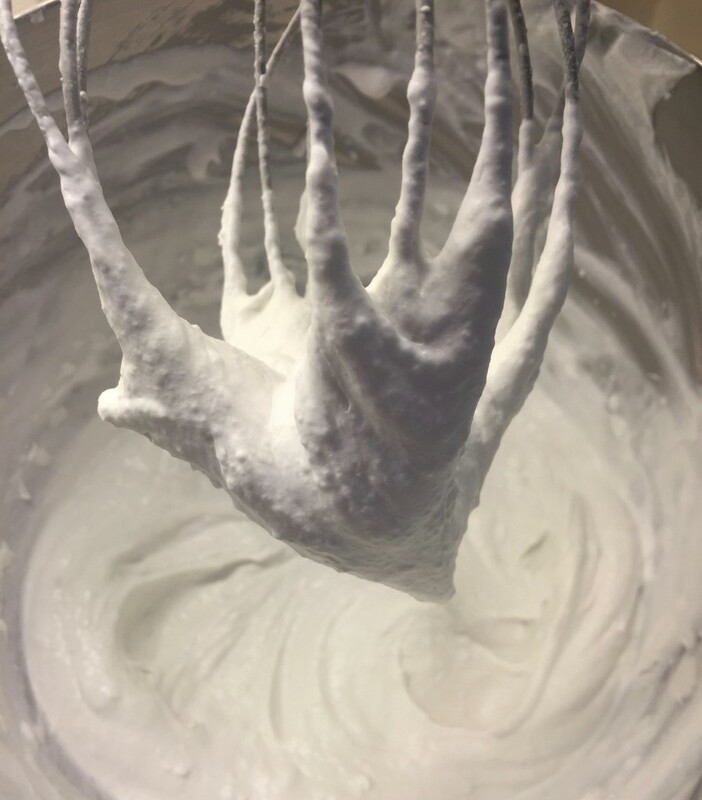 Use an electric whisk to whip it until thick, just like regular whipped cream. It should be really easy, if it’s a runny mess the coconut cream and bowl just weren’t cold enough. 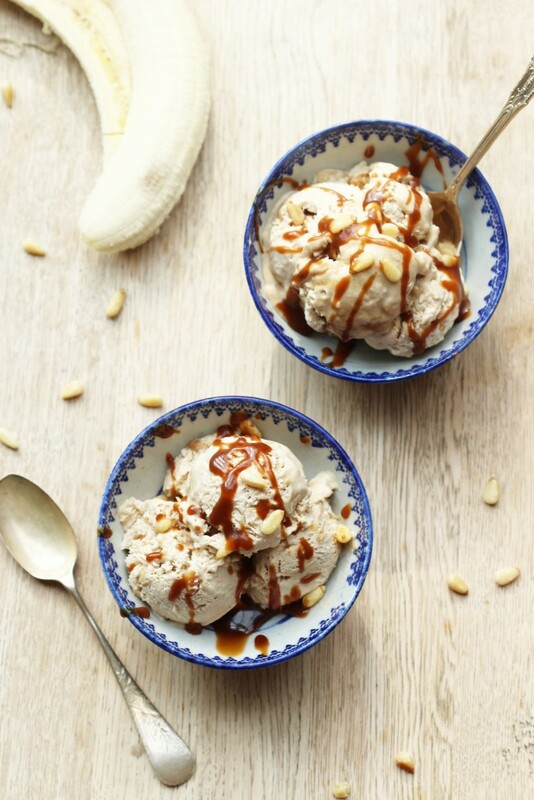 Using a wooden spoon, add in three quarters of the salted caramel sauce and the pine nuts and mix well . Dribble the remaining quarter in and use a spoon to marble it through the cream, these swirls taste amazing later. Taste it for saltiness, it should be salty enough from the sauce but add a pinch more if you like. Pour the mixture into a large container (I use a big lunch box) and pop it in the freezer to set. It should be set enough after 5-6 hours but I usually make it the night before I need it. I love making ice cream from coconut milk. I’m not dairy free but I love the taste. This is such a cool combination, I can’t wait to try it! I love that this ice cream requires only 3 ingredients! WOW it looks amazing! Could you use the smaller cans of coconut cream instead? Yes you can, those cans are perfect!